Due to the growth of natural logs, there are individual differences in wood grain, color, etc., which are subject to actual arrival goods. //Product specifications// Material: corkwood Origin: North America, Canada Dimensions: Length 13.5cm Pen ø 1.1cm (hand-made measurement, size may vary slightly) Nib: German, M tip Ink: Euro card water (black), can be replaced by yourself //Introduction // "Embedded wood", also known as eucalyptus, The color is not particularly eye-catching, but it can create a unique harmony of beauty. It is a clean, rustic atmosphere with parallel lines. Pure hand-made, each pen's wood grain is single and unique, giving you different temperatures. If you want to bring your own wood, please contact the coffin hand. ※ Custom lettering can be used, and the cost is extra. https://www.pinkoi.com/product/fSHPK3HZ?category=8 //Accessory diagram // https://c1.staticflickr.com/1/939/41636717251_8985bd66c5_b.jpg //Maintenance method // . Do not use chemical lotion to clean . Avoid soaking in water . Avoid sun exposure or high temperature baking //Hand pen packaging // Handmade pen packaging made of benzene dyed cowhide leather Benzene dyed waxy leather is the best material in all kinds of cowhide. The vegetable dye is directly dyed inside the leather body. The surface is not covered with any paint, and it has excellent pores and excellent permeability. 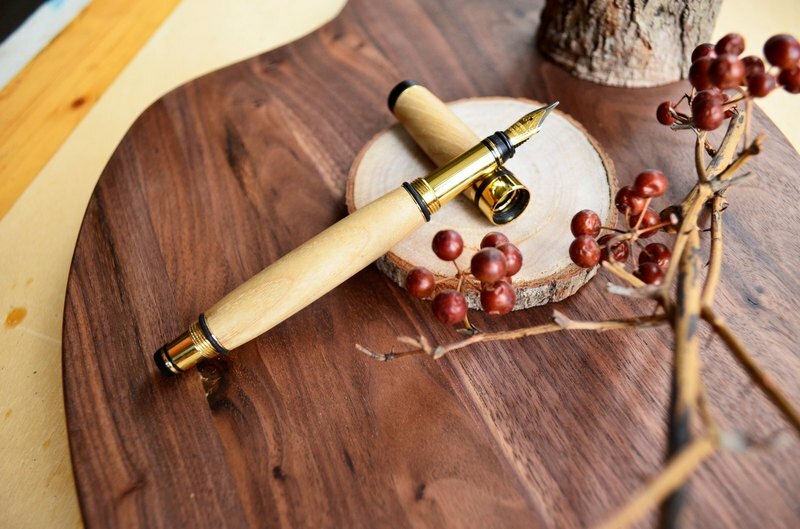 In order to bring out the quality of the eucalyptus hand-made pen, the eucalyptus hand made the choice to use the more expensive benzene-dyed waxy cowhide to make the holster. https://c1.staticflickr.com/1/805/39939639135_0e81ed866d_b.jpg https://c1.staticflickr.com/1/795/39939640725_dd8c958599_b.jpg https://c1.staticflickr.com/1/807/39939639985_07c64008d8_b.jpg //Designer and brand profile // Elm hand made only a dream for the round [No change, dreams are always just fantasy. 】 https://c1.staticflickr.com/1/821/26964457248_4c1d042913_b.jpg Sweating "water" and a simple "heart" made wood called "沁木手作". Founder of Elm, Wood "Dreamer" - Xie Jinqing Five years ago, when I was in contact with the field of woodworking, I found that my love for woodworking far exceeded my imagination. In the past five years, I have been learning and creating. After thinking about it, in order to build my own brand, I decided to take a step in February 2014 and set up the “沁木手作” studio. The business side is mainly engaged in accepting orders, pursuing customization and refinement--a unique woodwork creation, creating works ranging from small ornaments, pots and pans, to tables and chairs. The products of Tochigi's hand-made products advocate the concept of "environmental protection, recycling, reuse" Make good use of recycled old wood materials, use hands to give new life to the old materials, create a variety of daily necessities, and create larger styles of rustic furniture. Notebook, etc. 2014 "Creative Beech Cutlery Group" won the Top Ten Gifts of Hsinchu City 2015 "Coffin Handmade Pen" won the top ten companion ceremony in Taichung 2016 "Handmade Elm Steel Ballpoint Pen" won the "Taiwan Top Ten Gifts"